A lot of people start their day with a cup of coffee. A steaming mug is what they need to wake them up and jump-start another work day. If you’ve been looking into home brewing, you’ll find plenty of resources online such as Home Grounds. Everyone knows that coffee contains caffeine. People who wish to stay awake usually rely on coffee to keep them from sleeping on important stuff they have to do. If you feel a little tired at work, you might want to drink a cup of joe to keep you alert. Human brains produce adenosine, which is the compound that causes us to feel drowsy. Throughout the day, the brain produces more of it, and the more we have it, the more sleepy we’ll get. Caffeine blocks those compounds, which is how it keeps us awake. So, if your employees feel a little sluggish, a cup of coffee will prevent them from dozing off at work. When your employees don’t have to fight a battle with sleepiness constantly, they’ll have more focus in doing their tasks. 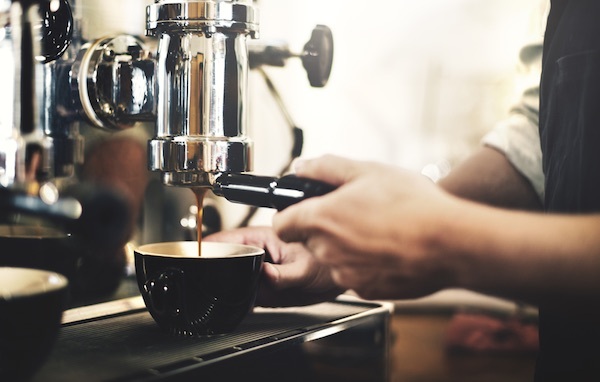 The mental alertness that the caffeine caused will help increase their productivity, which will then lead to a good workflow throughout the whole office. Since their minds are clean and awake, they’ll be better at handling their tasks. It’ll help them make better decisions because they won’t be driven by the desperation to finish the job so that they could finally go home and be in bed. 3. Reduce Downtime At Work. If your employees are up and doing their jobs with alertness and focus, then it means that there is less downtime in your office. A workplace is a machine with interconnected parts. So, if one piece breaks, then it could cause delays in other people’s jobs as well. It means that the overall productivity of the company will get compromised. Every company works on a schedule. It’s especially crucial if you work with clients who expect only the best from you. You need to meet the deadlines you all agreed upon and avoid delays as much as possible. One way you can avoid delays from happening is to have a coffee machine in your office. Aside from the poor performance that may delay important stuff, going out to get a cup of coffee is also time wasted instead of getting work done. The office should not be all work. Yes, it’s a place to be professional, but it doesn’t mean that everything should be strictly kept work-related. That could be a toxic environment, especially to the mental health of the employees. There needs to be some time for breaks to stretch and unwind. A cup of coffee is a good break, but drinking it over a conversation with other employees helps boost their morale. It could form strong bonds, which could translate to better work relationships. If they socialize well with their colleagues, then it could help improve work performance. Having good friends at the office can help reduce stress. 5. Learn New Things Faster. Your company will only grow if the people who work behind it also grow. It means that all of you have to learn new things constantly to do things better in every way. Caffeine not only helps keep your employees alert and focused, but it also helps them pick up information faster. It could be because the information is absorbed instead of just going in one ear and then going out the other. A cup of coffee while training new or old employees might help them do their tasks effectively. Even if they study materials at their own desks or homes, coffee can help give them the focus and alertness they need. 6. Reduce Sleep Deprivation Stress. There will be days when the workload piles up. It might force your employees to spend all-nighters to meet the deadlines. However, the next day will be terrible for them, which could then lead to low productivity on that day and the work they have will pile up again. It could quickly turn into a horrible cycle. A cup of coffee can jolt them awake, which means their sleepiness and stress won’t slow them down. It could end the cycle or even prevent it from happening by doing their jobs efficiently every day. Coffee is something that won’t easily go away from the hands of employees everywhere. It’s like a daily dose that they need to keep going. But it’s good that there’s something that helps people stay alert and focused on doing their job. It’s not just beneficial for them but also for the betterment of the whole company.